Yes, gone are the days when you had the whole day to yourself to do whatever you wanted with it. Before children, you could work as late as you wanted at work, and you could create your own schedule at home. Time is not as easily come by anymore, and neither is the freedom to be and do all that you know you are and would like to accomplish. That’s just the way it is for a while, for as long as there are kids in the house. Yet your children truly give you a reason to live. Anything you have to give up and do without for now is worth it—both in the present and in the time to come. Your children need you, and you need your children. When you choose to participate in good mothering, you understand that the love, time, and energy you give your children is a sound investment. We can’t control every aspect of how they will turn out, but we can control how we treat them now. Always choose kindness over cruelty, and err on the side of grace if you are in doubt about how to respond in a given situation. 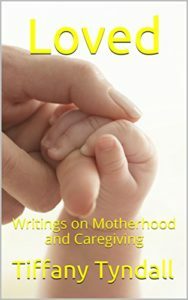 I know that I have a lot more years ahead of me as a mother and that my experiences in the trenches won’t be exactly the same as other mothers (we all have our own story to tell), but what I hope I have accomplished here is to paint a straightforward picture with some encouragement mixed in to help motivate others who may have been like me when I was first realizing how this life is going to go from now on with kids in the picture. It’s tempting to throw in the towel and quit caring, trying, and learning, but if you just hang in there and keep going, even when it’s hard and it would be so much easier to give up, you’ll reap what you’ve sown (e.g., kindness, patience, understanding, and gentleness). Goodness and joy will overflow in your life, home, and family. Your children will be better for it, and they will thank you for it. You will be an example to them of good mothering, which is one of the greatest prizes to be had in this life. 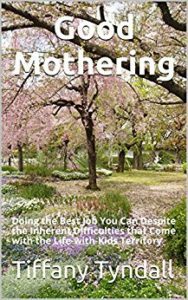 Good Mothering: Doing the Best Job You Can Despite the Inherent Difficulties that Come with the Life-with-Kids Territory by Tiffany Tyndall is available for purchase here.